The novel is entitled ” Sophie’s World: A novel about the history of philosophy,” hence from the very beginning we know that we are going to dive into a philosophical rather than a fictional world. The book is divided into several chapters; each sheds light on a specific era in the history of philosophy. It starts from the Greek civilisation until the big bang ( the novel is published in its Norwegian edition in 1991). The book can be reviewed based on two elements: a. fictional b. philosophical. As a book of fiction, the novel lacks the good twist plot, the developed characters and the intriguing dialogue. In the first part of the book, we only read pages and pages on the history of philosophy; only in the second part of the book that we learn about the reality of Sophie and her tutor. Still for a fiction lover, the book is still not interesting. However, as a book about the history of philosophy, it excels! In 2010, I took a course about the history of European thought with my amazing professor Dr. Fayez Al-Ghamdi. He spent hours and hours explaining to us Plato’s dualism, but no matter how much I concentrated I couldn’t grasp it! After reading this book, I completely understood the concept ! I’m determined to read more about the topic. The book recounts the history of philosophy chronically enabling the reader to grasp its development and relations. And as it states, it is just an introduction to beginners. Still, it is a very rich introduction. The language used is clear and precise too. Personally, I learned much from the book. 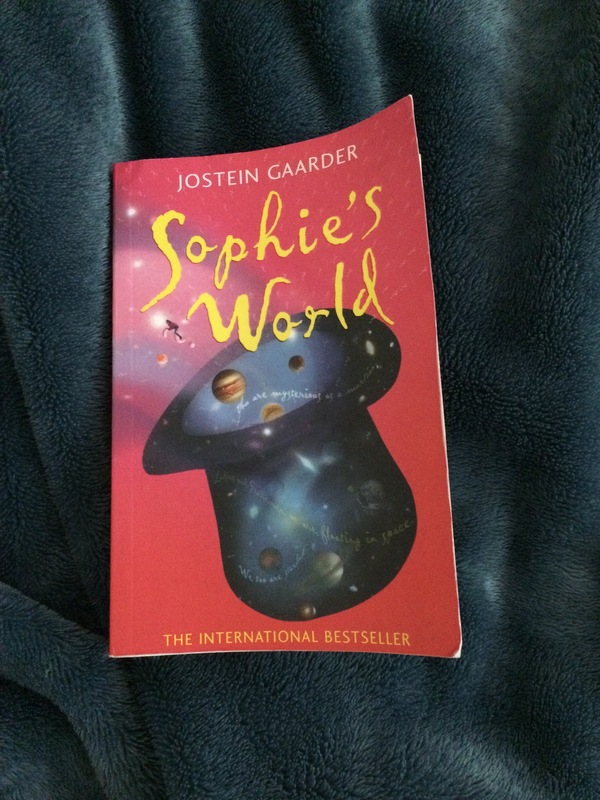 Sophie’s World is a wonderful book, but need a serious concentration. Totally recommend !